A series of events marking the August full moon (Sunday, August 26) will offer residents and visitors to Greece the chance to enjoy a romantic evening under the stars at 132 archaeological sites, monuments and museums across the country, on August 24-27. Admission to some 95 concerts, recitals, poetry readings, dance performances, film screenings, art shows and tours will be free of charge. 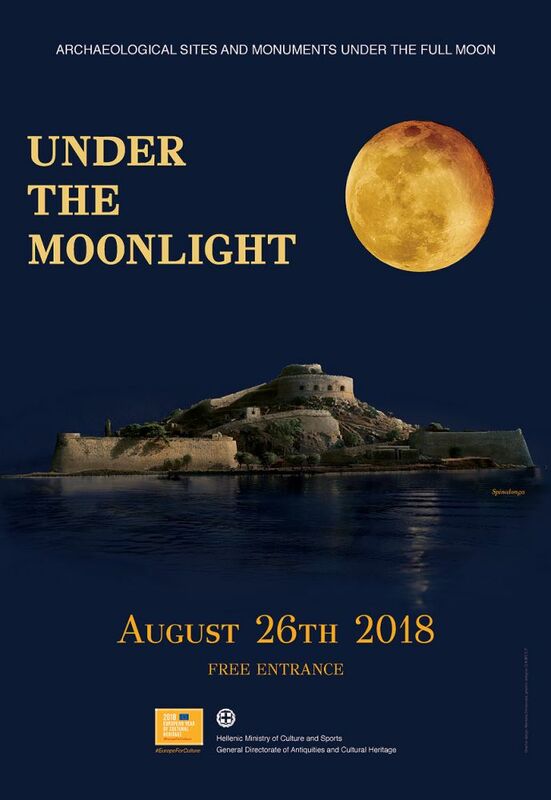 The events are within the culture ministry’s annual “Under the Moonlight” series which celebrates the August full moon and which this year coincides with the European Year of Cultural Heritage. Among the numerous events, the Palamidi Fortress in Nafplion will feature Greek songwriter Dionysis Savvopoulos, the Ancient Acropolis of Rhodes will host a concert with local performers, the Archaeological Museum of Mykonos will pay tribute to songs of the sea, the Athens Numismatic Museum will feature a jazz concert, and the Castle of Kalamata will screen Federico Fellini’s La Strada. Meanwhile, the archaeological site of Sounio will remain open until midnight. The events will culminate on August 26, the night of the full moon. First organized in 2002 by the culture ministry, the August full moon events attracted more than 75,000 people who visited 115 archaeological sites and monuments in Greece, last year, marking a rise from 63,765 visitors a year before. The list of events can be downloaded here.